Many shotgun users have expressed concern about the environmental hazards of burning or land filling spent shotgun cartridges. As a keen shooter himself Mr Moore realised that there wasn’t anywhere that spent shotgun cartridges could be recycled. He then developed the machinery to enable this to be carried out allowing both gun clubs and game shoots to dispose of their cartridges responsibly. Our processing of spent shotgun cartridges continues to be unique in the UK. 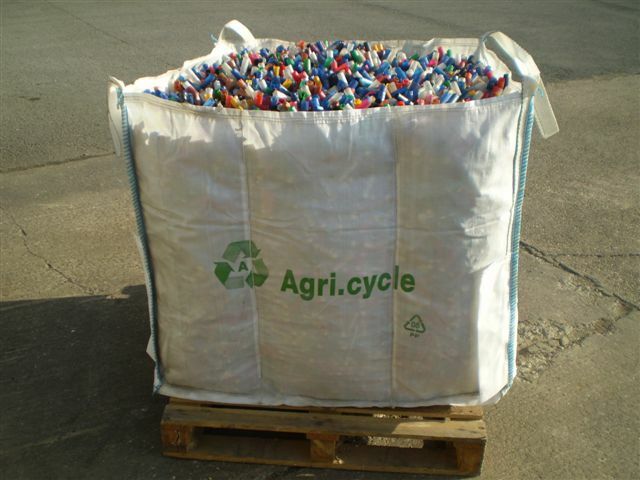 We are able to recycle 100% of the spent shotgun cartridge which would have previously gone to landfill or been burned on site. We have been offering this service now for over four years and have the support of BASC and The Countryside Alliance. We cater for shoots of any size, whether you are clay or game. There are different size bags depending on the numbers of cartridges you accumulate. The smaller bag which is about the size of a domestic wheelie bin holds 4,200 spent shotgun cartridges which is perfect for a 10 gun 8 day shoot. The larger bag holds 21,000 spent shotgun cartridges so suits a commercial game shoot or clay shoot . All we ask is that that only the spent cartridges are thrown into the bags and that they are kept dry either undercover or by being covered by a tarpaulin. 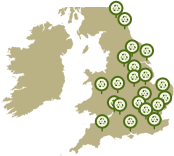 We offer either a collection or a drop off service depending on where you are based in the country. Last year, almost 16 million spent shotgun cartridges were recycled thanks to the joint efforts of Laporte Clay Pigeon Company and Agri.cycle. This is nearly double the amount recycled in 2014 and in 2016, the aim is to recycle even more! • When clays are delivered by Laporte Clay Pigeon Company, the spent cartridges can be collected at the same time. • Agri.Cycle then collect the spent gun cartridges from Laporte Clay Pigeon Company. • All cartridges collected are 100% recycled, saving valuable landfill space. There is a charge for our service but this is to cover the cost of the haulage back to our site in Lincolnshire. Why not Contact Us for a quote? Above is a video from Field Sports Channel TV, where they review and see Agri.cycles spent shotgun cartridge recycling line in action. One of the balers for this project has been supported through the Rural Development Programme for England, which is jointly funded by Defra and the European Union, and is delivered by East Midlands Development Agency (emda). Full traceability giving farmers and growers the confidence of complying with any assured cropping schemes.